Eighteen hours or so to go in our Life In Shanghai (moving to Beijing, after trip to the U.S.) and already thinking we'll miss X, Y, and Z. Shanghai, unexpectedly, seems to be a more interesting place to live in than to visit. The big obvious sites (museum, Bund*, Pudong skyscrapers) are fine, but the little everyday crannies are better. Some day, I'll collect a list of the interesting crannies. 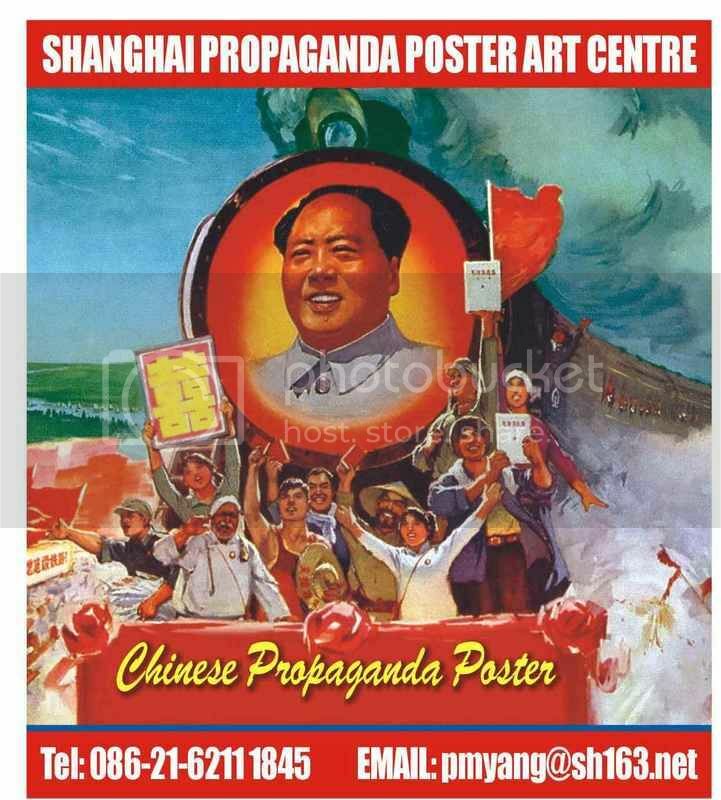 One of our favorites: the under-appreciated Shanghai Propaganda Poster Art Centre, in the French Concession. 100% guaranteed to hold the interest of anyone who spends an hour or two there. * Local lore update: Virtually all Western visitors pronounce this word as if it were drawn from the German word Bund, with a longish U sound almost as if it rhymed with "spoon." In fact, it's an Indian and/or Persian word for "embankment," which is what the Shanghai Bund is, and it's pronounced with an "uh" sound, like the last part of "cummerbund," which has the same origin. Or so I believe! More info here, scroll down to "cummerbund."